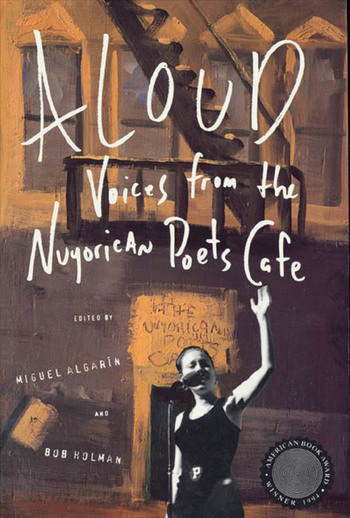 Compiled by poets who have been at the center of the Nuyorican Poets Cafe in New York City, Aloud! showcases the work of the most innovative and accomplished word artists from around America. Miguel Algarín is a founder of the Nuyorican Poets Cafe on New York City's Lower East Side and has hosted the Cafe's live radio broadcasts on WBAI for more than 18 years. He is also a distinguished poet and critic with several books to his credit. He teaches at Rutgers University. Bob Holman is a widely known poet-and poetry activist-whose mission is "to make poetry as natural a use for language as ordering a pizza." He is the author of The Collect Call of the Wild and a co-editor of The United States of Poetry.